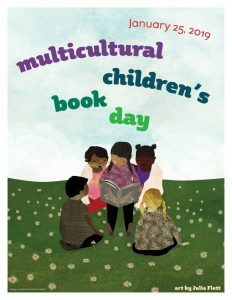 from debut author-illustrators reviewed today by Cathy Ballou Mealey. 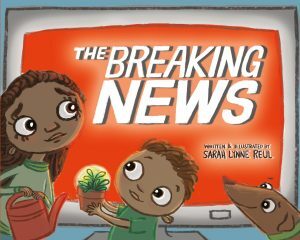 THE BREAKING NEWS by Sarah Lynne Reul brings us a glimpse of a community struggling to cope with upsetting developments, and highlights the role that a girl fulfills to restore and heal them. The book opens with a family happily engaged in potting plants at the kitchen table. But a television in the background interrupts with unsettling news, distracting the parents and disrupting the normal rhythm of life. The little girl, round-eyed and tender-hearted, notices the changes all around her. She becomes determined to act and restore balance to her family, school and community. Advised by her teacher to look for helpers, our heroine undertakes big and small acts of generosity and kindness. Bold gestures – washing dishes, putting on a silly show, and inventing imaginary force fields – fall flat. But slowly she discovers that many small gestures performed with love and care – tending to the dog, reading to her brother, caring for the recently-potted plant – begin to make a difference. THE BREAKING NEWS is a helpful, heart-filled book. 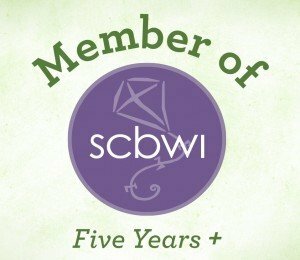 It bridges the gap between acknowledging distressing events and supporting the family circle where children learn to cope and counter sadness and fear. Reul’s balanced blend of warm and grey toned illustrations underscore the message of empowerment and hope. Reul brings together a brighter future and stronger community by the book’s end, making this a timely, helpful resource for families to discuss broader community issues. 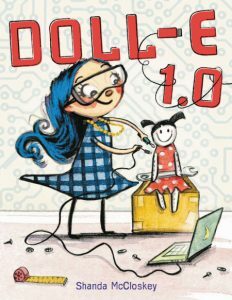 It’s techno-trouble for clever Charlotte, the heroine of DOLL-E 1.0 by Shanda McCloskey, because she doesn’t comprehend the purpose of her new toy, a doll. With her trusty canine sidekick Blutooth, Charlotte is constantly on call for fixing the gadgets and devices that break and baffle her family. However, her constant coding and tinkering spark concern from her parents, who want Charlotte to unplug a bit. The new “human-shaped pillow” doesn’t inspire much enthusiasm until a hidden battery pack is revealed. Charlotte tackles a doll upgrade, much to Blutooth’s dismay. Will his doggie destruction thwart Charlotte’s creative coding and clicking, or will it lead to a new appreciation for her technological ingenuity? This STEM-friendly tale will appeal to young readers who appreciate and alternate between toys with and without power buttons. McCloskey’s action-filled, colorful characters are expressive and engaging. The scratchy, sketched appearance balances a sophisticated use of cartoon-panels. Full page illustrations pace the story nicely. Speech bubbles blend dialogue smoothly with text, while background details hint cleverly at Charlotte’s tools and organized interests. DOLL-E 1.0 is a smart, engaging and creative story with lots of contemporary charm. 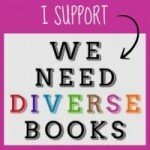 Read another recent #Epic18 set of book reviews by Cathy Ballou Mealey here.